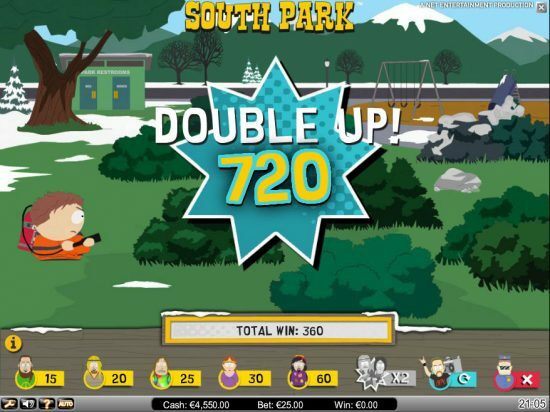 Home >> articles >> South Park Slots – How Rude Is It? South Park is a real power house of a TV show. Love it or hate it, this animated cartoon for adults has always awed, entertained and in parts grossed out its audience thanks to the insane amount of sarcasm, dirty jokes and foul language, while still managing to convey meaningful messages about important events. The show has its fair share of games as well, including a very popular casino slot. It is highly unlikely that more fun cannot be had on a mobile phone than the slot at hand. The show’s success has spawned a number of feature length movies as well as countless different form of media and entertainment, including a very successful video game by Obsidian Entertainment called South Park – The Stick of Truth. Speaking of games, fans of the show and slots in general have the option of trying out the excellent South Park themed slot. 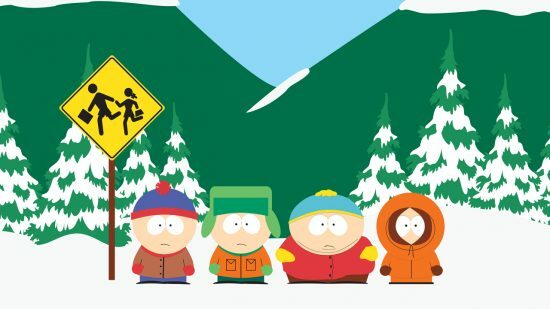 It is a 5 reel, 25 pay-line video slot that is borrowing heavily form the themes that permeate the show, including the four main character – Stan, Kyle, Kenny and Cartman. Visually the slot is very South Park-like – everything is made in the TV show’s cartoonish card board cut out style with the animations, reels and symbols borrowing from the show’s aesthetics. Yes it is rough and it is kind of out of place at times but so is the show and in there lies its charm. You will hear the characters speaking their trade mark lines like Kyle and Stan’s: “OMG, they killed Kenny. You bastards!”, and many more, which are intended for adult audiences only. The slot has 4 distinct bonus games which can be triggered with the wilds symbol and each is unique to the character at hand. Kyle’s bonus stage involves him kicking his brother Aik (Kick the baby) in order to score a multiplier or bonus points. Play the South Park slot with free spins here. Stan’s bonus game is also pretty funny (and grows) and involves maintaining Stan’s puke towards his girlfriend Wendy (the longer he pukes, the bigger the bonus). Kenny’s bonus game has the player trying to guide Kenny across the street without dying (to clarify, this character dies all the time and the show yet is always present for the next episode). Last but not least, Cartman’s stage is the most fun and most hilarious – as an avid hippie hater, Cartman goes on a stroll against the diehard hippies that invade South Park (similarly like in the 127 episode of the show named “Die Hippie Die. Cartman scores extra points for fumigating the hippies with “higher cred” (College knows it all hippies and more). To say that South Park the video slot isn’t rude would be an understatement but that is part of what makes it so great. If you are a fan of the TV show and you love slots than this is a match made in heaven. The art style, the use of the authentic voices and music and the clip from the show are all great, as well as the bonus stages. You just can’t go wrong by playing it.